Though the Serenade Hotel is designed in a unique Old Quarter architecture, situated in the popular and oldest business area of the Old Quarter in Hanoi, it’s filled with modern services and facilities. It’s within a short walking distance to the Sword Lake, and 200 meters to the Thang Long Puppy Theater and Ngoc Son Temple. 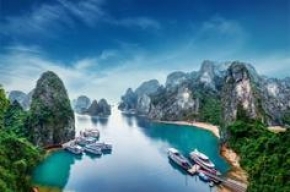 Their location allows you to fully experience and appreciate Vietnamese tradition, culture and all that Hanoi has to offer.